TigerPlace is a model of gerontological education, research, care delivery and environmental design for the 21st century. The MU Interdisciplinary Center on Aging brings together University of Missouri health providers, researchers and educators who are focused on the needs of the rapidly growing older adult population. This center is built on the strong foundation of strengths and links that exist among over 80 faculty members representing six schools, five colleges and 24 different departments. TigerPlace is a 54-unit retirement community with one- and two-bedroom apartments that come equipped with kitchenettes and full baths. Initiated as a multidisciplinary service, education and research project at the Sinclair School of Nursing, TigerPlace is a model of gerontological education, research, care delivery and environmental design for the 21st century. It is also a center for students, scholars, policymakers and entrepreneurs to research the new “Aging-in-Place” model in eldercare. TigerPlace was developed in partnership with Americare Systems, Inc. Representatives from Americare and the University of Missouri worked closely together to plan the construction and operation of TigerPlace. Americare manages housing component and Sinclair Home Care Aging in Place, a service operation of the Sinclair School of Nursing, provides health care services for its residents. The “Aging-in-Place” model allows the elderly to receive health care in their preferred place of living. 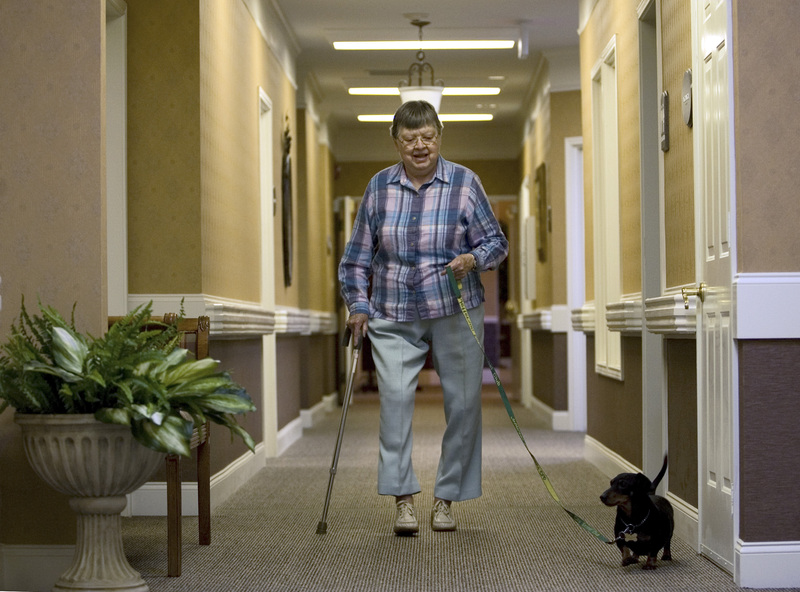 As their care needs increase, residents contract for more care in the same setting, eliminating the need for a move to a more restrictive living environment such as a nursing home. Residents receive housekeeping, laundry and dining services as part of their base rent. The Research Center for Human-Animal Interaction (ReChai) is a collaboration between the Sinclair School of Nursing and the College of Veterinary Medicine. The center conducts programs and studies in this growing field of research about the health benefits of human-animal interaction. The American Lymphedema Framework Project is a national initiative developed under the leadership of recognized clinical experts and investigators in the field of lymphedema. The ALFP is a collaboration of healthcare providers, researchers, patients and industry representatives. Its mission is to improve the management of lymphedema and related disorders in the United States while contributing to global international advancement. The ALFP offers a new app, Look4E, for locating trained lymphedema therapists. For more information, visit the ALFP online.